In the age of Marvel and “Game of Thrones,” comic books and fantasy novels are no longer the cinematic outcasts they once were. 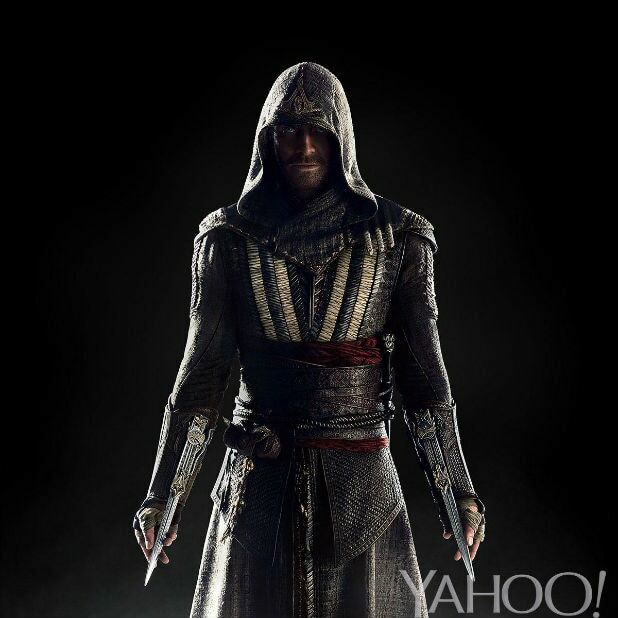 As evidenced by “Assassin’s Creed,” video games have yet to make the same strides toward silver-screen respectability. This adaptation of the popular series reunites director Justin Kurzel with his “Macbeth” stars Michael Fassbender and Marion Cotillard, albeit to considerably less fruitful results; fans of the video game franchise are likely to be even more disappointed than those merely looking for a historical action flick. “Nothing is real, everything is permitted” is the film’s mantra, a translation of a line from Vladimir Bartol’s 1938 novel “Alamut” that’s made its way into any number of other games, movies and songs. Here it represents a powerful weapon wielded by the ancient order of Assassins in their shadowy, centuries-long war with the Knights Templar: a ruthlessness that transcends morality and law. Where there’s a weapon, there’s a way. The plot is that most dreadful of mixes: both laughably silly and needlessly complicated. Fassbender stars as both a present-day murderer sentenced to death named Callum Lynch and his own ancestor: Aguilar de Nerha, a 15th-century Spanish assassin. Cotillard is a high-ranking Templar scientist hoping to use Callum to access Aguilar’s memories to discover the location of the Apple of Eden, which represents man’s first disobedience and therefore has the power to remove humanity’s violent impulses. Typical one-percenters that they are, the Templars intend to use the Apple as a means of controlling mankind by removing people’s free will. Sure, why not. The accidental joke of the star of “Steve Jobs” running around looking for an apple is among the few amusing aspects of “Assassin’s Creed,” which despite the high level of talent assembled — Jeremy Irons, Brendan Gleeson, Michael K. Williams and even Charlotte Rampling all appear as well — falls fall short of the mark. (Also unintentionally funny: an ill-advised plot twist that brings Kurzel’s film dangerously close to “National Treasure”/”Da Vinci Code” territory). The ostensible point of such an enterprise (namely, to watch Fassbender slink through 15th-century Spain and silently dispatch bad guys) barely factors into the narrative. Instead it’s the present-day story that gets the lion’s share of attention, a convoluted framing device that’s more hindrance than help. Kurtzel and company seem intent on making this feel like a movie that happens to be based on a video game rather than a straight adaptation, an understandable aim that results in the worst of both worlds. The over-the-top silliness of “Resident Evil” or even “Mortal Kombat” would be preferable to this self-serious slog. To access those murderous memories, Cotillard hooks Fassbender up to a rather expensive-looking machine called the Animus that allows/forces him to relive his ancestor’s exploits, but also threatens to unmoor his mind. Though ostensibly a star vehicle for Fassbender, the movie affords him precious little opportunity to showcase his talents in a manner similar to the “X-Men” franchise. It can be difficult, from one scene to the next, to gain a sense of whether or not we’re supposed to want Callum/Aguilar to succeed in this task; harder still is summoning the energy to care. As in last year’s “Macbeth,” Kurzel fares best in battle sequences highlighting the ashen ugliness of imagined history in rich detail. When they finally come, sequences in which Fassbender bounds through antiquated environs and lives up to his oath provide a few spare thrills; a public execution, meanwhile, recalls the heightened reality of Ken Russell’s “The Devils” (minus the heresy). Elsewhere, though, “Assassin’s’ Creed” is like playing a bad game and longing for the sweet release of the “game over” screen.